More information emerges on recent departures at OSU. Wednesday’s departures from the Oklahoma State basketball program are suspected to be linked with an ongoing vandalism investigation, according to the Tulsa World‘s Mark Cooper. OSU coach Mike Boynton didn’t delve into the details of Michael Weather’s, Maurice Calloo’s and Kentrevious Jones’ departures, but at a news conference Monday, Boynton explained the overarching details of the situation were still murky. “In terms of the incident itself there was some kind of noise about something that may have happened, but it was very, very cloudy on details,” Boynton said Wednesday. “I never want to make a rush to judgment. I want to make sure I have as much information as I can before I make a decision, and that would have been late last week. More information came about when we got back, late Saturday night. We moved forward from there and more information more recently last night. In the public’s eye, Weathers and Jones were already past their first chances. Weathers was suspended in the fall after reportedly stealing a wallet at a bar and using money from that wallet to buy drinks. 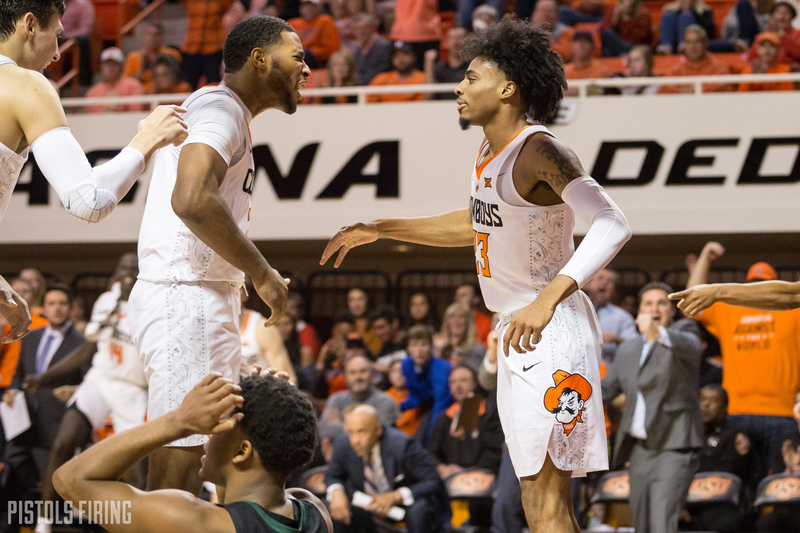 Jones wasn’t in Gallagher-Iba Arena for OSU’s game against Baylor on Monday. He was suspended. Boynton said Wednesday Jones’ suspension against Baylor was related to the trio’s incident. That wasn’t the first time Jones was serving a disciplinary suspension, though. Jones sat in nine games while only playing in eight in his time at OSU. Boynton said his conversation with Jones happened Sunday, but with the cloudy details, he didn’t meet with Calloo and Weathers about it until Wednesday morning.